The Violet Headed Hummingbird chicks. Los pichones de colibrí. 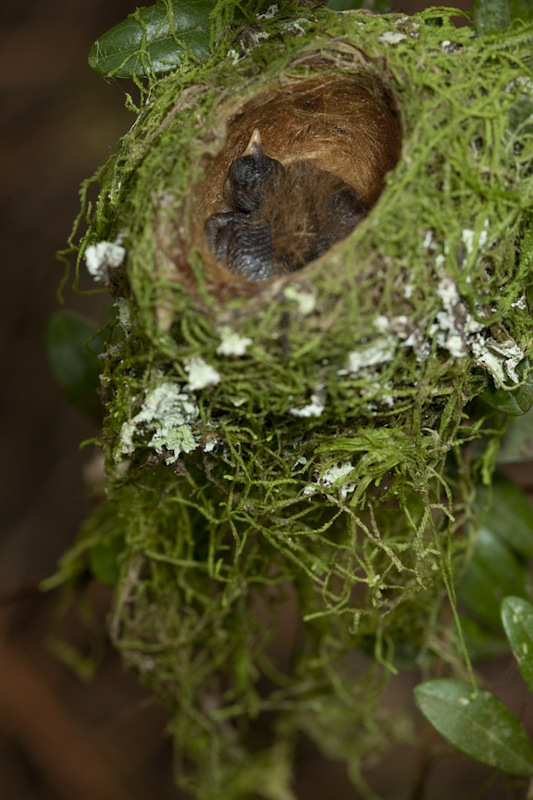 Two weeks ago I was traveling with an Exploritas Photo Tour and at Arenal area somebody showed me a hummingbird nesting. I was very bold and I took a few pictures of the mama warming the eggs. Well, I was back there just yesterday, and the babies were born! So, once more I took a couple of pictures of the babies. You see one above just above… aren’t they… interesting? well, they are not beautiful, yet, but they will be! two more hummingbird to bright our day! 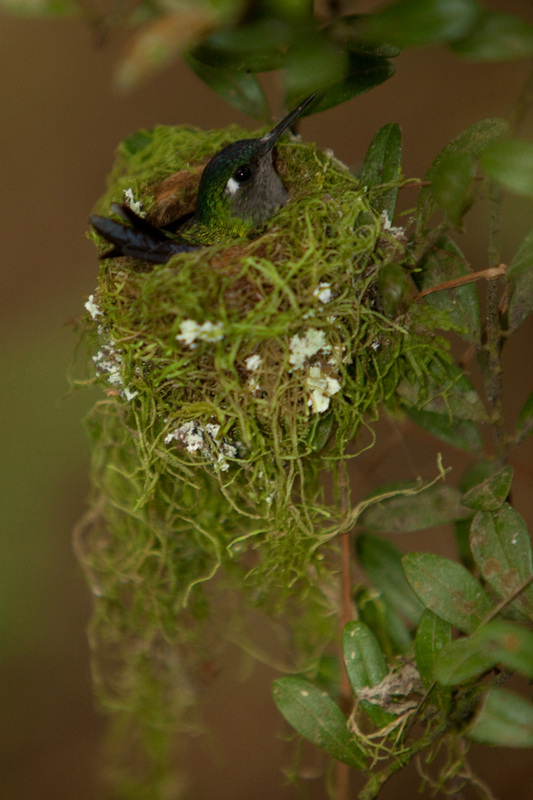 Hace dos semanas estava viajando con un grupo de fotografía de Explortias y en la zona del Arenal alguien me enseñó un colibrí anidando. Fui muy atrevida y tomé algunas fotos the la dedicada madre calentando los huevitos. Bueno, ayer regresé por allá, y ya habían nacido los bebés! Entonces, una vez más tomé un par de fotos. Arriba está la prueba… no son… interesantes? pues sí, no son hermosos todavía, pero lo serán! Dos colibrís más para alegrarnos el día! Violet Headed Hummingbird nesting. / Colibrí empollando. Wow, that was great. Sounds like you had better weather on these trips then on our trip!! We are in south TX now but it is cold and rainy here–is it following us? I have gotten some pictures of birds in the area also but nothing real special yet. Well, I am not going to lie to you, weather has been less rainy, but very hot, so I dont know what will be better. I am glad to know that you are happier with your photography! show me some!!!! I remember the nest and am glad to see that all went well despite bothering her with our cameras.